The big day has come and went. The gown, the cap, getting that sweet degree after years of blood, sweat, and tears. So, now what? 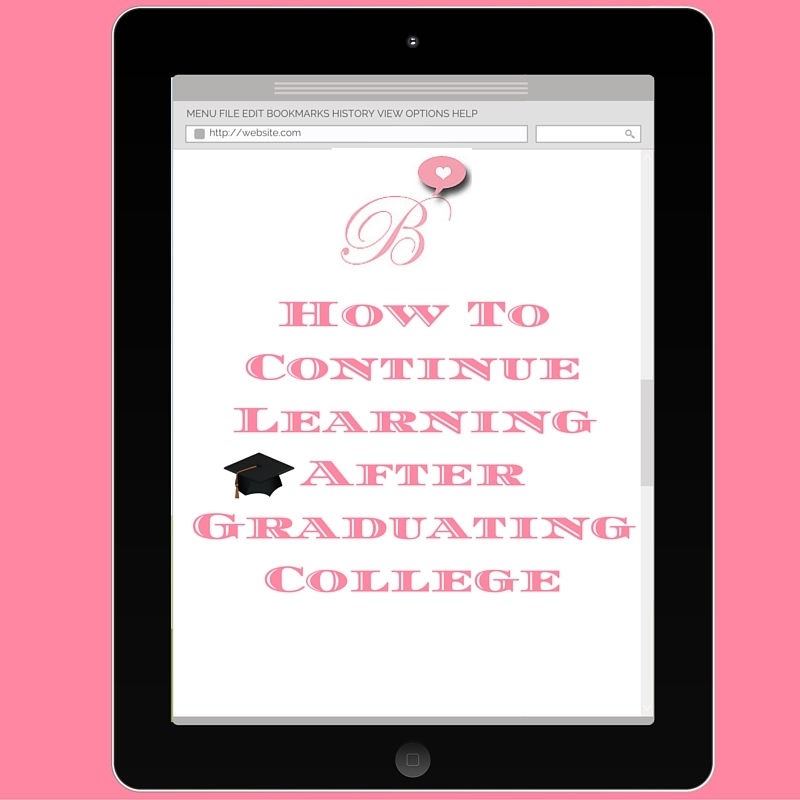 You’ve constantly been learning in classes for four (or more) years. Studying, reading, sitting through lectures has literally been your life. But, now that you’ve walked that stage, does that mean you’ve completed your education? Absolutely not. Podcasts are an easy way to get some knowledge in your brain with little effort. I use the podcasts app that comes with the iPhone. You can search through all kinds of topics and industry. Sometimes, I’ll play them when I’ve got some quiet time at work or even on the commute. For marketers, try Joe Pulizzi’s Content Inc. podcast for short and sweet marketing tips. The google play store also has a number of podcast apps. You can find tons of online courses online in anything. You can even find free ones! For marketers, Hootsuite Podium has a social media marketing course. The classes are free, you just have to pay for the certification. You can also try Hubspot Acadamy for free marketing courses. You can also take online classes at almost any university. Just like in college, there are real world organizations you can join! You can find all kinds of organizations just by googling what you need. There will be a number of organizations you can become a member of. Adding this to your resume will show that you are passionate and interested in learning more about your field. Plus, many organizations offer workshops and networking events to help further your career! School will teach you what’s happening in that moment in your major. However, the field will continue to change forever. So, you need to stay up to date on what’s happening for your career. For me, the easiest way to do this is to follow certain pages on my social media channels. For example, on Twitter (@BrittneyMoffatt) I follow Social Media Today (@socialmedia2day) because they tweet articles about social media news. I use social media to stay up to date with social media (so meta)! So, here are a few things that will help you stay ahead of the game. Don’t let the end of school mean the end of your education. Knowledge is all around us, and now it’s up to us to find it!